The listening cycle series has been co-written by Jessica Steimer, who has been helping non-profits use social media more effectively as part of her work with Aspiration. Jess rocks! Find her on twitter @JSteim. You can also find a version of this article on the Aspiration Social Source Commons Blog. As we outlined in Part I of this Listening Cycle series, listening can give you an idea of what conversations are happening around specific terms used to describe your issue. You can learn a good deal about the people, issues, and conversations that you are interested in by conducting simple searches. However, this method makes it almost impossible to keep up, and for most of us, listening and communications is only one small part of the work we do as social change agents. We call it a “cycle” because listening isn’t something we should only do at specific points in a campaign. The campaign will evolve as conversations morph over time, have highlights and even lulls. Stories may go viral within different groups, and you’ll want to do your best to keep up. If you are trying to stay on top of – or even to change – the conversation about your issue, then real-time tracking or automated listening becomes especially important. For this blog post we focused on no-cost tools that organizations use to monitor people and conversations they are interested in. There are plenty of tools out there that you can pay for, and some of the options below have services for pay, but we feel strongly that most of the tools and services you can get for free can meet most of an organisation’s needs around monitoring. And you should certainly use free services before investing any resources in something you have to pay for. It’s also worth noting that monitoring social media is a highly dynamic and rapidly changing field; new tools are constantly emerging. We have left out analytic tools like Facebook Insights, Twitter Analytics, and website analytics tools. Monitoring how your audience is interacting and responding to your messaging is an important part of a healthy breakfast… or, a strategic communications plan. However, knowing how people are responding to your content is different from trying to learn about what conversations you might yet be a part of or how to connect with audiences you are not yet engaging. Listening dashboards typically use an account that you create and customize with your keywords, searches, and other data so that you have one place to check for notifications when your interest areas are mentioned on the internet. Sparkwise – is a powerful open-source tool designed with civil society organisations in mind that can be used as a listening dashboard, a place to create visualization, and a storytelling platform. Note. It is still in beta, but there are lots of widgets offering a variety of monitoring options. 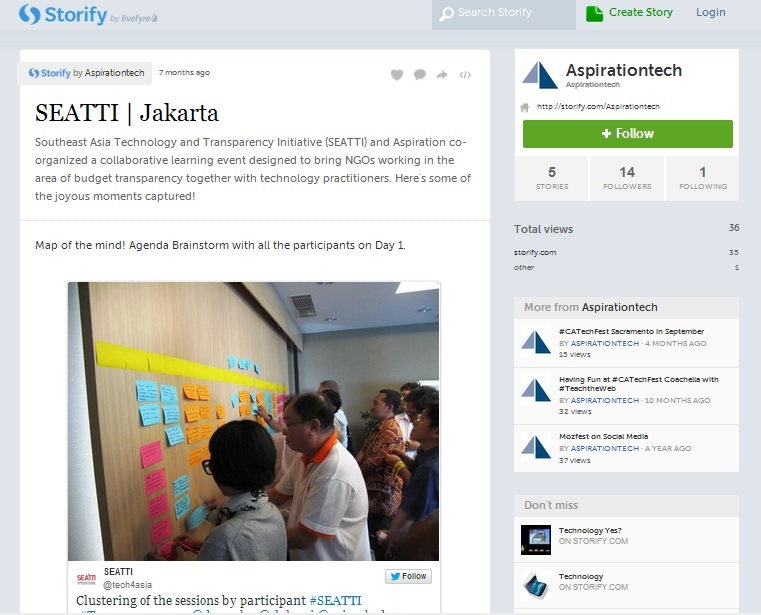 Storify – functions as a dashboard since it is a place to check for notifications and new content. Storify works well with some social networks that do not work so well in Netvibes right now like Instagram. You can collect and save social network posts from the searches that you’ve created into stories to keep track of conversations over time. These tools will pull RSS feeds for listening. RSS, or Real Simple Syndication, is a feed that you subscribe to in order to be notified whenever new content is published. 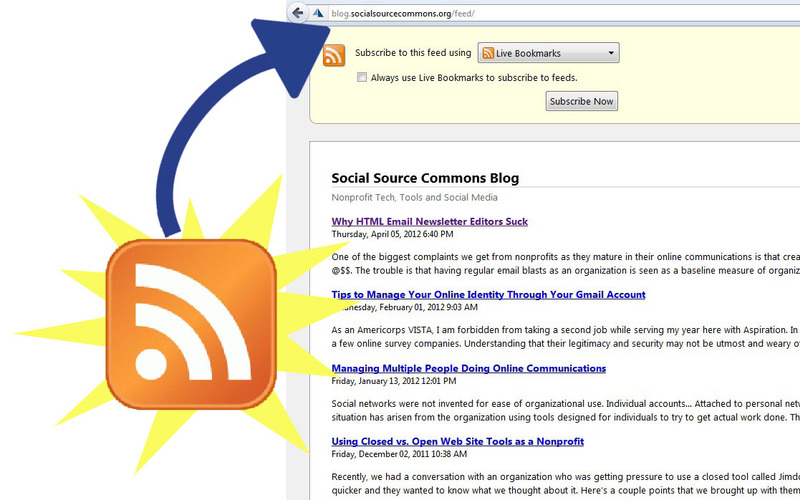 RSS feeds are available from many blogs, websites, news sites – look for this to subscribe. Google Alerts – Google Account Required, you can have alerts delivered via RSS feed when new content relevant to your search terms is published. Bing Search – pull an RSS feed from Bing Search results page by adding a snippet of code to the end of the results page URL. Pro Tip: Check out this blog post for more information on adding an RSS feed to a Netvibes dashboard. These tools are for deeper analysis of stakeholders, followers, topics, and issues on Twitter. Commun.it – analyzes your Twitter community to help you better understand relationships such as influencers, and suggests who to follow/unfollow. 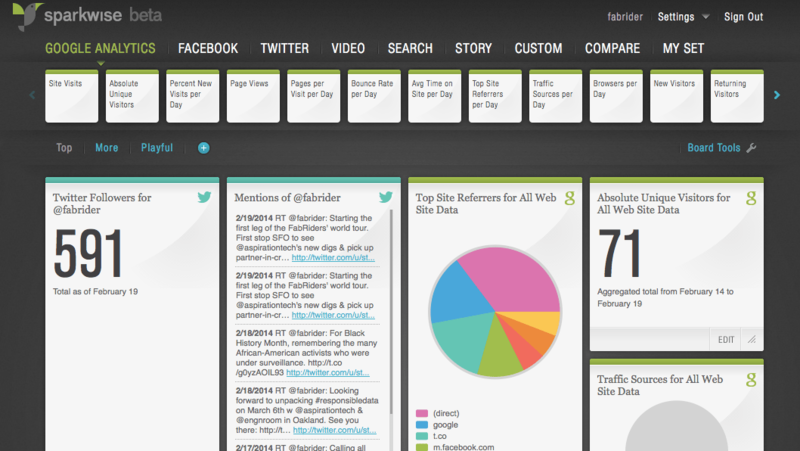 Tweetlevel – can be used to search and analyze Twitter data around topics, hashtags, links, and users. This can be especially useful when digging into web traffic analytics because it can be hard to know what link people follow to get to your site from social media. Use language, style, and frequency of messaging that will engage your stakeholders. But most important: keep listening to see how it is working, practice and improve. A very heartfelt and special thanks to the community of online listeners who have shared their tools and best practices with us in order for us to share with you. We are especially grateful to Matt Fitzgerald and the team at Upwell, as well as to Susan Tenby, the Online Community and Social Media Guru at Caravan Studios, for their commitment to listening and sharing best practices with the community. Got a favorite social media monitoring tool or tip you’d like to share?